A good rule of thumb is that a short sale is NOT for someone that wants to sell, but only for those who HAVE to sell. To qualify for a short sale, typically a borrower must prove that they are in a financial hardship. Do you meet ANY of the qualifications? We are your Jacksonville, Jacksonville Beach FL Short Sale Specialist, Ponte Vedra, Orange Park and St. Augustine Florida Short Sale and pre foreclosure Realtor. We offer Short Sale Expert Real Estate Agent Help in Duval County , St. Johns County, and Clay County FL Short Sales. What are short sales? A short sale in real estate occurs when the outstanding loans against a property are greater than the proceeds from the sale of a home. How can you help me? We are a team of experienced and very reputable Real Estate Agents who specialize in Jacksonville FL Short Sales and in helping home owners in all of Northeast Florida by working with your lender to negotiate a lower payoff amount in order to price your home below competition and get it sold FAST. Me and my team will also aggressively market your home to attract buyers and oversee the entire sales process of your home. What is in it for ME as the property owner? 1.) Through the HAFA short sale program,which is sponsored by the US Treasury, and other lender programs there are incentives of $3,000 to as much as $15,000 in some cases for a home owner to cooperate and successfully complete a short sale. 2.) A borrower can be eligible to purchase a home again after only two years after completing a short sale, as opposed to seven years for a foreclosure. 3.) In the state of Florida, after a property is seized by a lender, a borrower is still 100% liable for the deficiency in most cases. This means a lender can get a judgment against a borrower for ALL of their loss. What if my home is worth more than my loans, but I could not pay the closing costs? That can still be a short sale. Many homeowners in Northeast Florida have avoided adjusting the price of their home to current market value in a desperate attempt to receive enough money back to pay off their loan balances. If this is you, you are just delaying the inevitable, as home values continue to fall in Jacksonville. If I sell my home short, can my lenders come after me for the difference? NO. We will work to secure a full release for you at closing. We get our home owners released from the debt free and clear the vast majority of the time. Who will pay the broker commission and the other closing costs? There is no out of pocket cost for your to do a short sale. Nothing up front, nothing at closing, period. In a short sale, your lender pays all traditional seller closing costs. How much work will this take? Not much for you. We will ask you to gather certain financial information and forms for us to present to your lender. We will handle the negotiations and details with your bank as well as the process involved in selling your house. If I am going through foreclosure, can I do a short sale? YES. In fact, the bank will be more than happy to work with you on a short sale. It is to the banks and your advantage to work out a short sale. The foreclosure process is usually much more costly for both parties than a short sale. Why is it to my advantage to do a short sale? A foreclosure will damage your credit far far more. 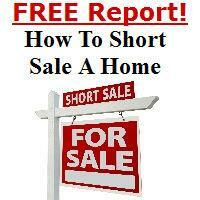 In fact, many banks DO NOT report a short sale. In addition, in the event of a foreclosure, the lender can also come after you for a judgement in the amount you owe. We will work to get a full release from the lender for you. Can I stay in my house until the short sale is completed? YES. You will not have to more out until the closing. In fact, if you are facing foreclosure and we are actively working with you bank, we can get them to delay the foreclosure proceedings and make it possible for you to stay in the home for some time. Are there tax consequeces for a short sale? Your lender will likely write off any forgiven debt, and you may be sent a 1099 any deficiency forgiven by your lenders. HOWEVER, due to the mortgage debt relief act of 2007, you are NOT liable to pay any taxes on this amount if the property closes prior to 2012 and is your primary residence. Please consult an accountant regarding any tax ramifications of a short sale. Can my current realtor work the short sale? In the majority of cases, the answer is NO. Unfortunately many Real Estate Agents in Jacksonville do not have the knowledge, experience, or skill to complete a short sale on a house. It is NOT part of the Realtor basic training! The majority of other agents don't want to or have the needed experience! The results of inexperience can be disastrous! We make the deals happen, when other agents make the Foreclosures happen. Choose experience when picking your Short Sale Realtor! We understand this may be a very difficult and stressful time for you and your family. Our job is to get rid of your headaches and help make things go as smoothly as possible for you. We are a team of experienced real estate agents and Jacksonville Florida short sales specialists , but we also work St. Augustine, Orange Park short sale , and Ponte Vedra FL short sales as well. We are certified Loss Mitigation Consultants and are very experienced in working with lenders in the short sale process. In addition, we have one of the most aggressive marketing plans in Northeast Florida to insure a fast sale of your home. 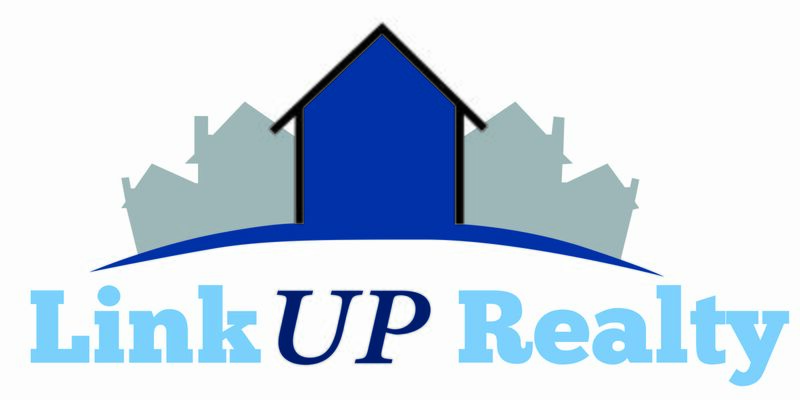 Stop Jacksonville Home Foreclosure Expert Realtors, Ponte Vedra Florida Short Sales , Jacksonville, Orange Park and St. Augustine Florida Short Sale and pre foreclosure Specialist Help. Considering a foreclosure costs over $50,000 on average, a short sale is in your lenders best interests! Got Questions? - Click Above! Short Sales are NOT the only alternative when you are in financial hardship. I would like to discuss your situation with you to see you qualify for a short sale and also discuss all options with you. Please Call us at (904)733-4911 or fill out the form below for a FREE, confidential, no obligation consultation.